Lives were lost when First Nations men worked the rivers for the North West Company starting in the late 1700s. Money was lost from unfair pricing for furs back then, asserts Chief Donald Morris. He says northern nations should be compensated today with reduced prices in North West Company stores. “There’s got to be a historical review. There’s got to be records of these things,” said Morris of Kitchenuhmaykoosib Inninuwug First Nation. And that compensation, he said, should be reflected by rolling back the prices in any of five stores – Northern, NorthMart, Giant Tiger, AC Value Centre and Cost-U-Less – that North West Company (NWC) operates near or on northern reserves across Canada. “That way (NWC) deals properly, so that will alleviate some of the hard times people are going through that are unemployed. A lot of them are on welfare and when they go (to the stores) that’s practically the whole cheque in one shopping,” said Morris. Kitchenuhmaykoosib Inninuwug First Nation is located about 600 km north of Thunder Bay. 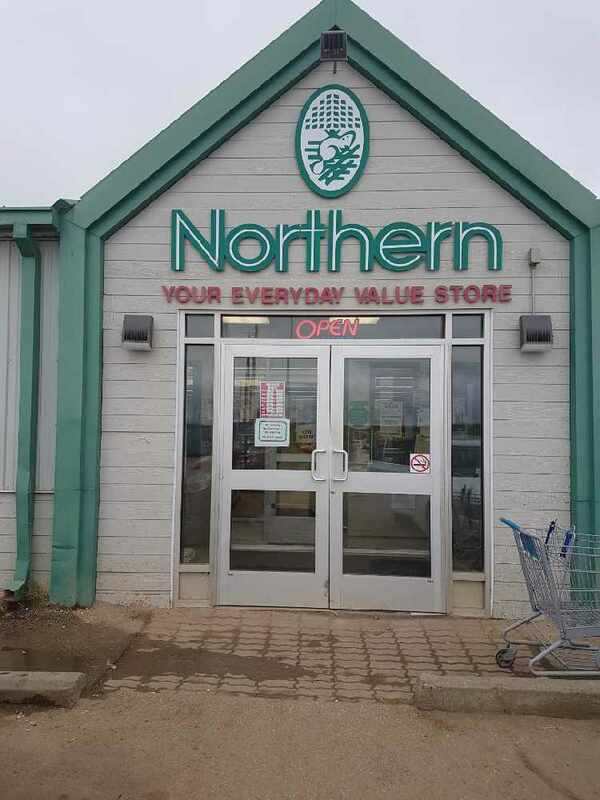 The First Nation hasn’t had a Northern store operating near its reserve since at least 1994, when council encouraged members to shop from the band store. An apology will also be sought from the North West Company along with “reparations for the economic suffering they have inflicted on Indigenous peoples in Canada.” The resolution was introduced by Morris. Derek Reimer, director of business development with North West Company, says he is aware of the resolution and that a NWC executive member was present when it was past. “I think we want to look at positive steps we can take and will continue to do so. We certainly are open to continuing to work with the different groups and organizations and try and improve the relationship we have with them,” he said. Reimer said NWC has taken a number of steps to embrace the 60 or so northern communities it operates in or nearby. Last year, NWC undertook an ambitious project translating shelf labels in 80 different categories into 30 different dialects and 12 different Indigenous languages. It also advocated for First Nations communities that were initially left out of the federal government’s Nutrition North to get them accepted. Another step NWC has taken was to acquire North Star Airlines in June 2017. “Certainly, one of the things we want to do is provide good services to the communities where we operate, reliable service, and believe that having the ability to manage our own airline will allow us to be able to do so. “So, over time, it is our belief that we will be able to better manage price fluctuation,” said Reimer, who is well aware of the concerns from northern communities that the cost of living is too high. “So we work hard every day to try and provide our customers with options. But we also recognize there are certain realities in terms of high shipping costs, high operating costs that are something that we have to continue to deal with,” he said. But Morris views the purchase of the airline by NWC differently. In fact, it’s that purchase, and the cancellation of the freight contract NWC had with Kitchenuhmaykoosib Inninuwug’s airline Wasaya Airways for Ontario’s northern communities, that pushed Morris into making the AFN resolution. “Them wanting to be the only business in this region by eliminating that service they had with Wasaya. I thought to myself, ‘They’re reverting back to the old days where they want total reliance on them from these northern communities,’” said Morris. He is hoping that his push to hold North West Company accountable will gain steam. “That’s why I put the resolution out, hoping other reserves will jump in, and even our brothers and sisters further north, the Innu,” he said.